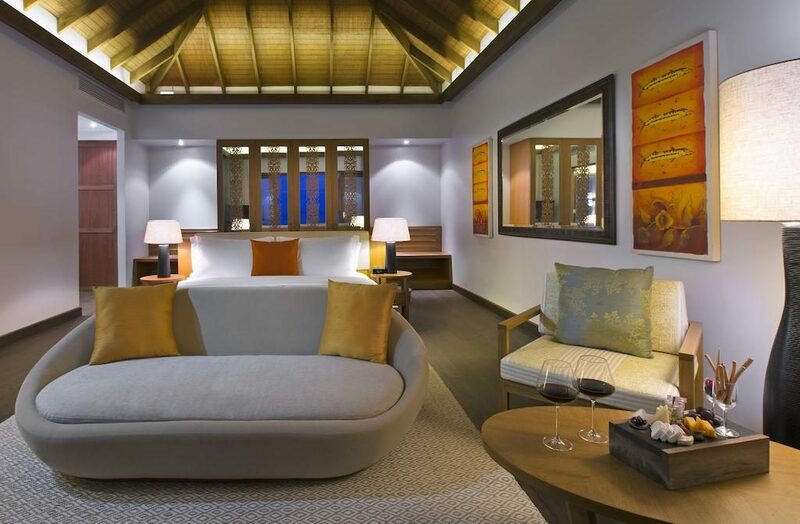 Located on the stunning South Male Atoll 25 minutes by speedboat from Male, Anantara Veli is a tropical paradise for honeymooners and families wanting to experience the true Maldives. 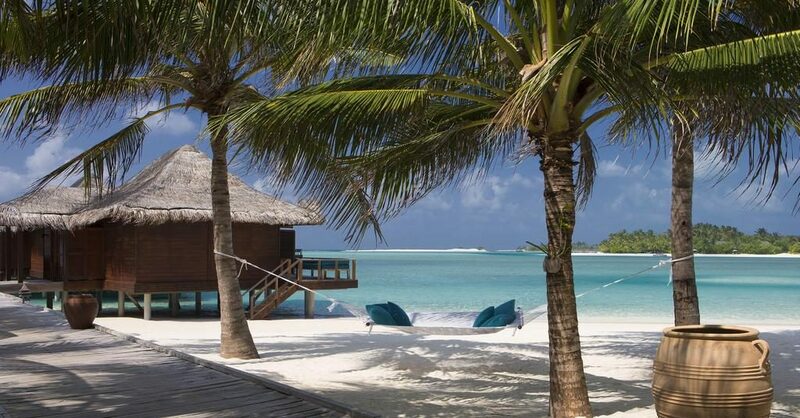 This resort is packed of activities but also has the serene feeling of a desert island. 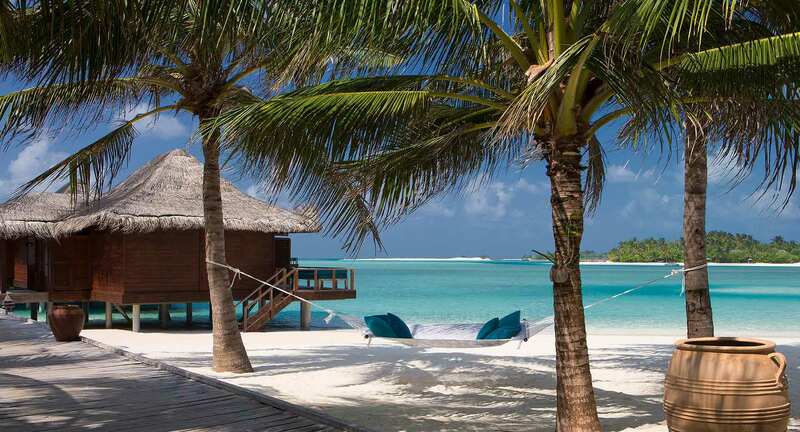 There is an unbridled sense of joy as you’re relaxing on the soft sands looking out to the marvelous lagoon. 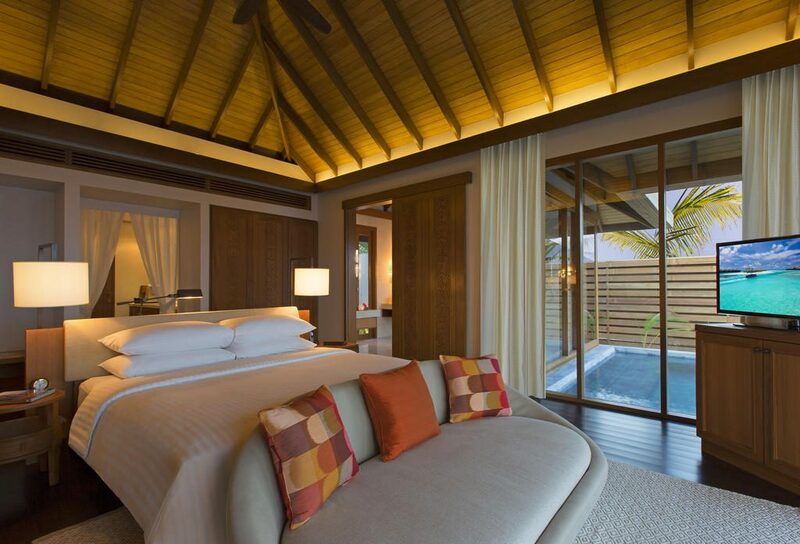 With overwater bungalows, as well as private pools and sun decks, you’re never far away from sheer luxury. 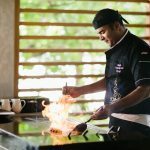 Not only will you discover breathtakingly beautiful scenery, but you are also in for a luxurious treat with the resort’s restaurants. 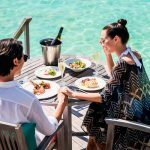 Excellent fruit, fresh sea food from local waters and culinary delights from all over the world will make every meal a fantastic experience. 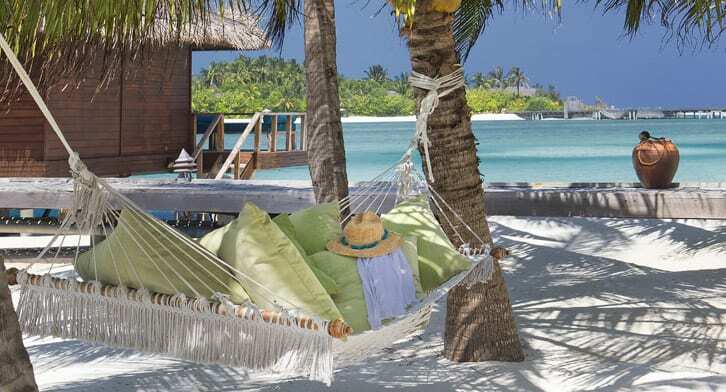 Anantara Veli has some of the most incredible views of all islands in the world and the many extras make this resort the ideal Maldives holiday getaway. 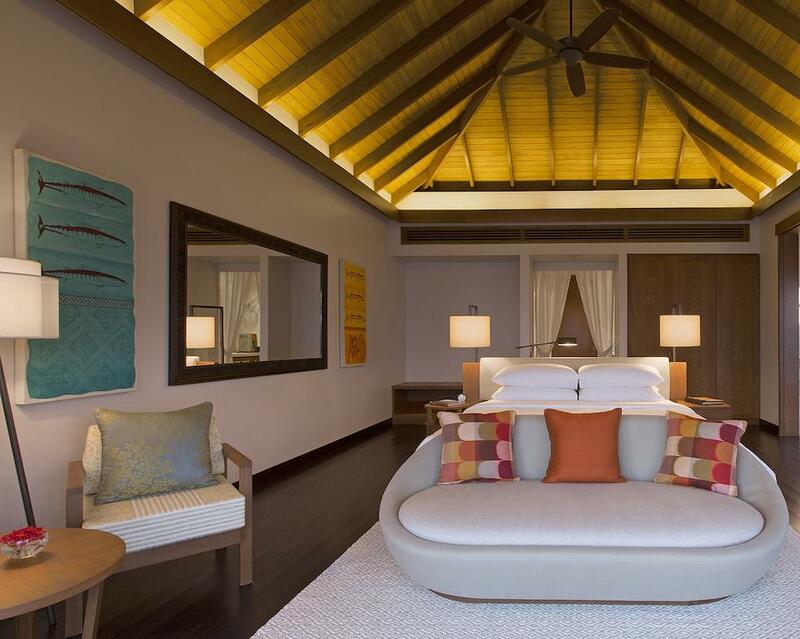 The impressive Bungalows at Anantara Veli are all complete with Egyptian cotton sheets, air conditioning and stunning views of the lagoon. 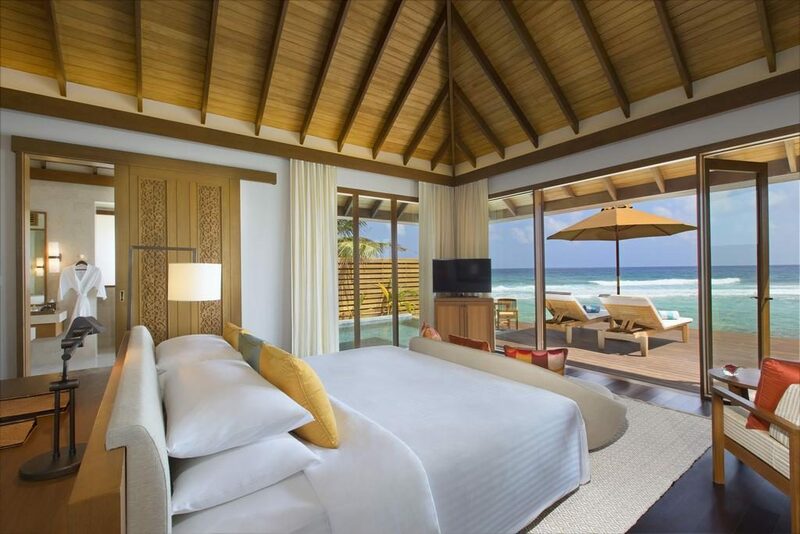 Waking up on your first morning this amazing view will make you feel truly blessed – a feeling that will last right to the end of your stay here in paradise. 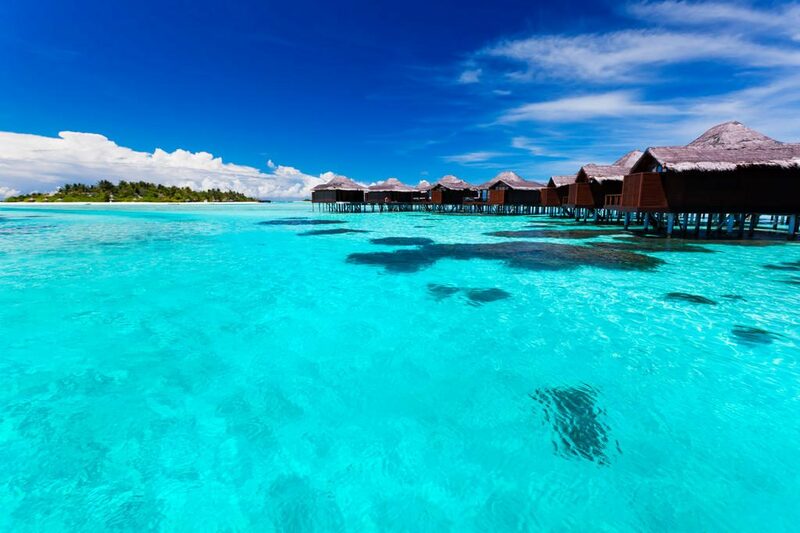 The Over Water Bungalows (62 sqm) are standing in the shallow waters of the lagoon, looking out to the Indian Ocean. 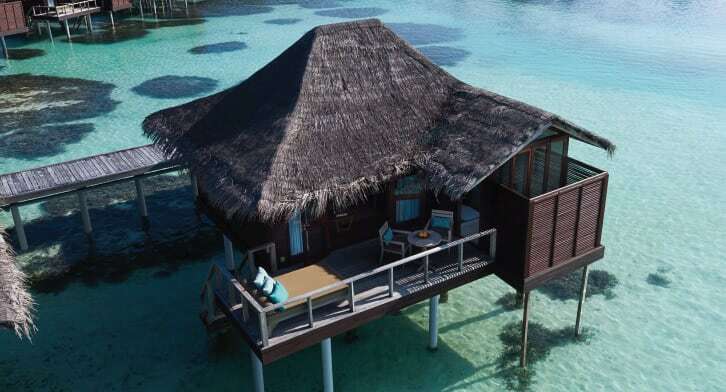 They have a stunning coconut thatched roof and a private sundeck with an oversized sunbed for you to relax in. 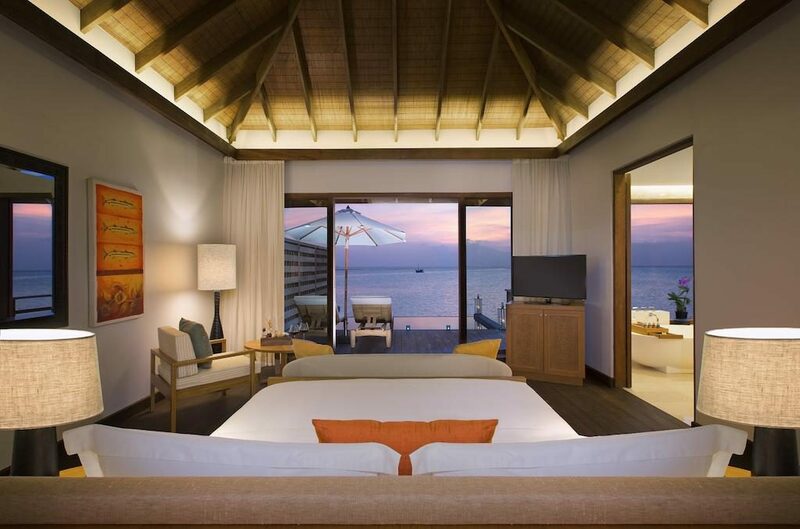 From your king-sized bed you have amazing views across the azure seas ahead, making the Over Water Bungalow feel even more extravagant. 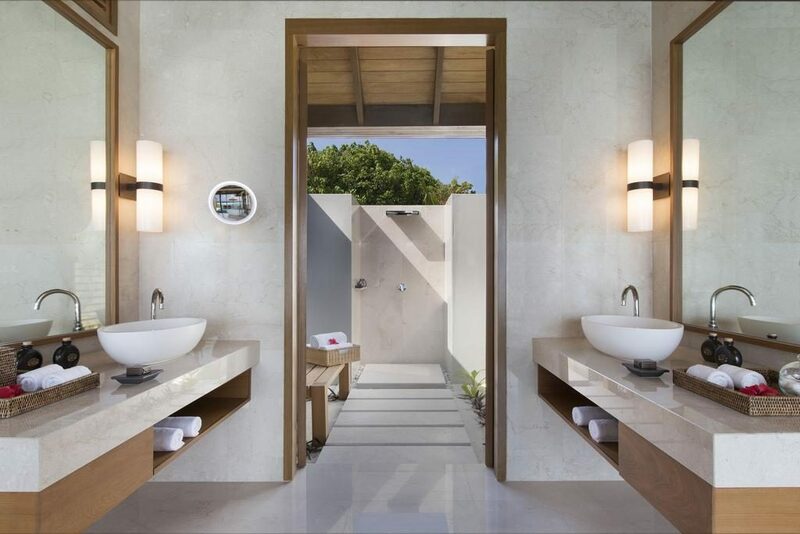 There is a separate shower room and the wonderful scent of tropical flowers floats through your bathroom. 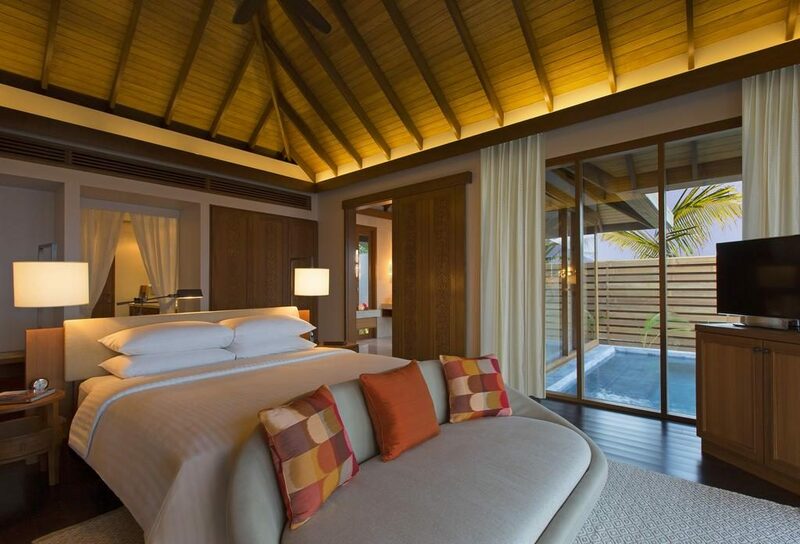 The Superior Over Water Bungalows (62 sqm) are perched on the outer edge of the lagoon for more privacy. 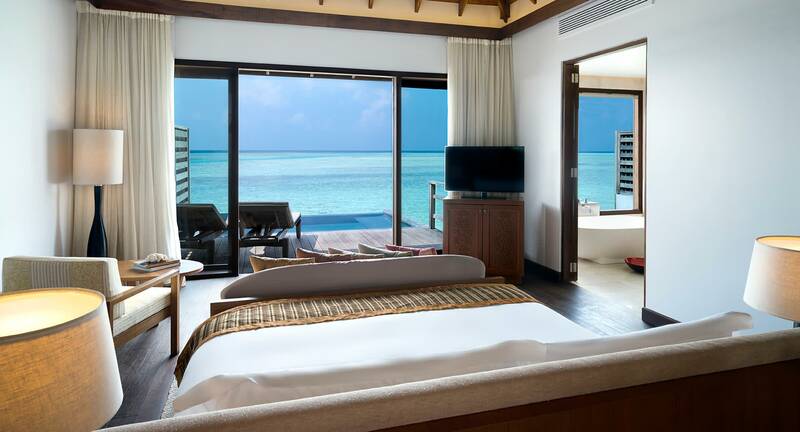 Watch the sunrise from the comfort of your plush luxury bed, and slide open the glass doors to take in the ocean views. 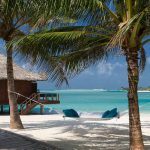 Descend the steps directly into the lagoon to explore the warm, vibrant waters, then enjoy a private dinner under the stars. 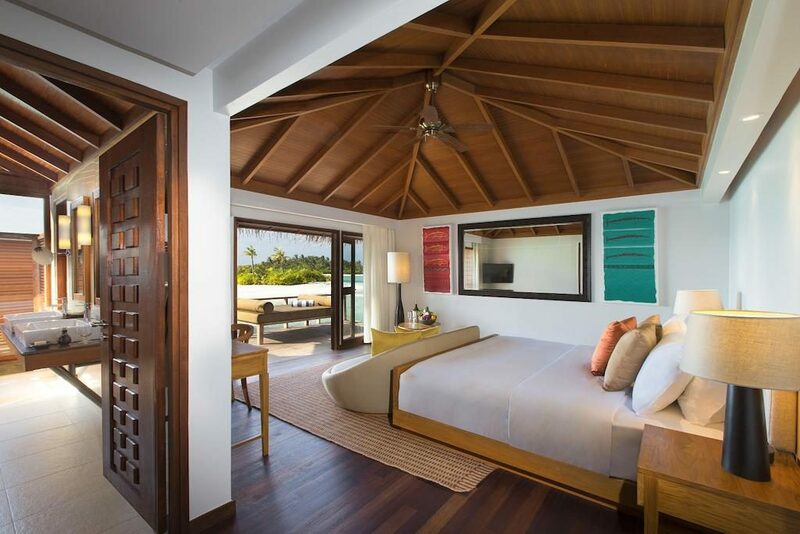 The Deluxe Over Water Bungalow (92 sqm) is slightly larger. 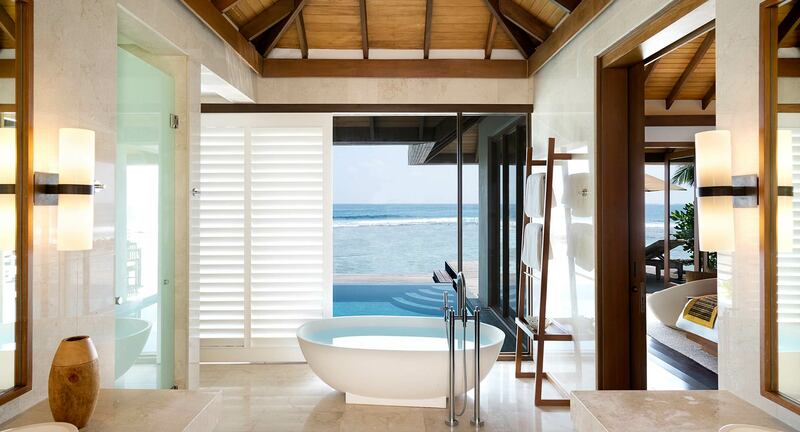 With its wonderful infinity-edged bathtub with views of the Indian Ocean, this is the perfect choice for a relaxing Maldives holiday. 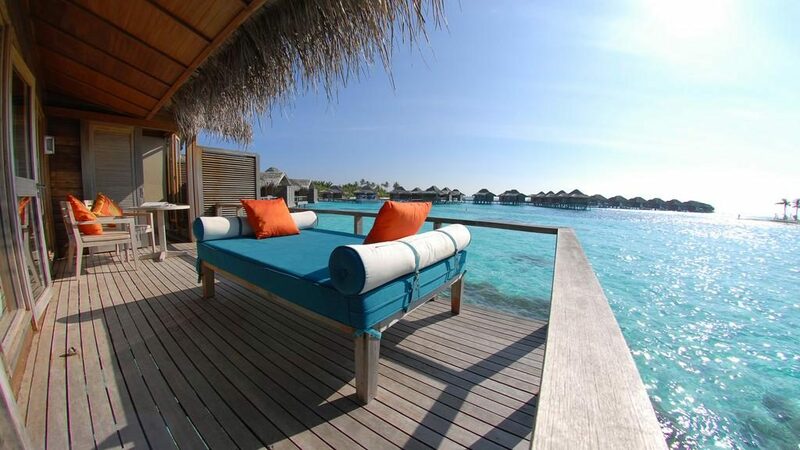 Below your timber deck with the amazing sunbed, you have the crystal clear water so typical for this tropical paradise. 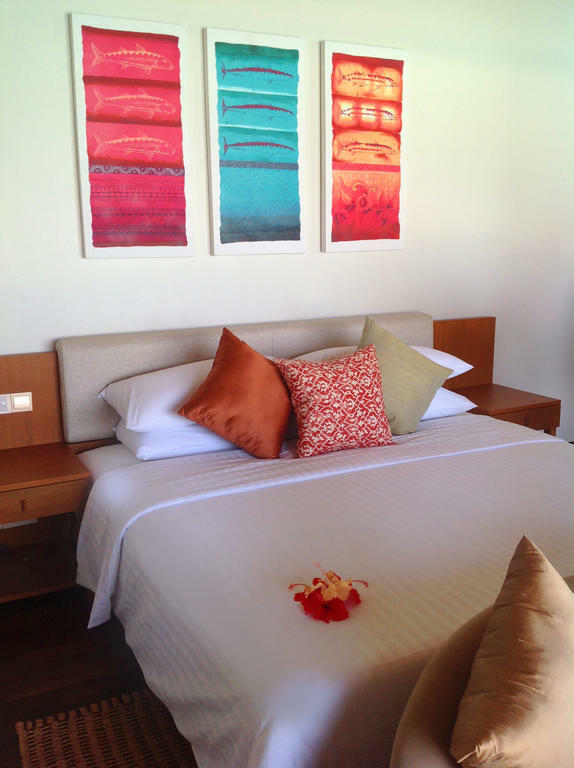 The ice-cold air conditioning and the well-stocked minibar will keep you comfortable at all times during your stay in the Deluxe Over Water Bungalow. 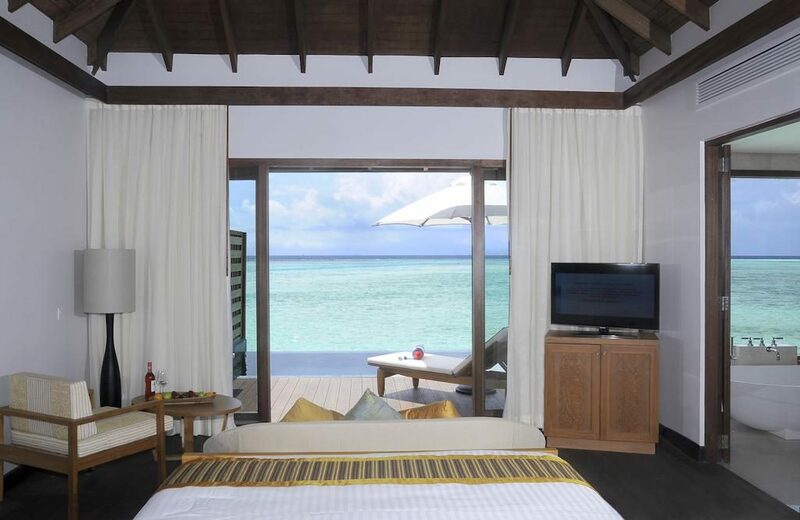 The Ocean Pool Bungalow (125 sqm) makes for a great value Maldives holiday. 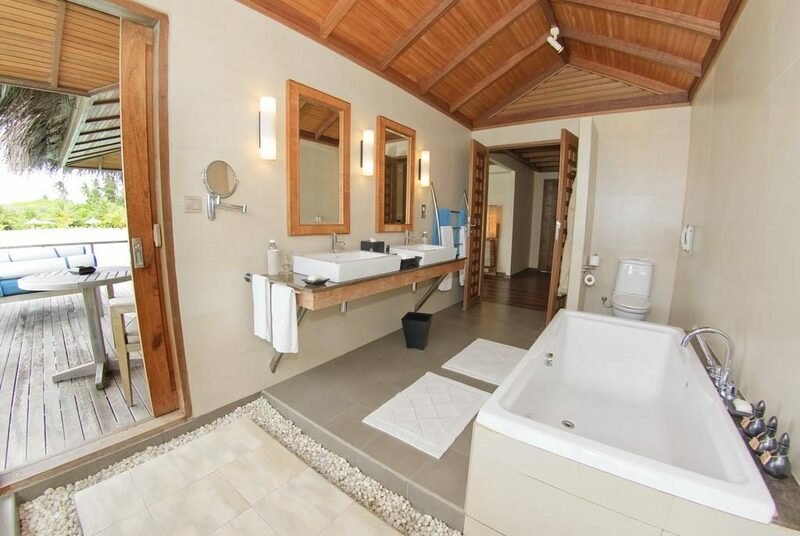 Including a superb plunge pool, large outdoor space above the crystal clear water, as well as a king size bed, you will be very comfortable here. 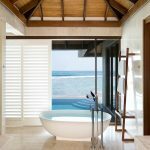 Complimentary Internet access, glass doors and an air-conditioned bathroom with a generous bathtub are other luxurious features of the Ocean Pool Bungalow. 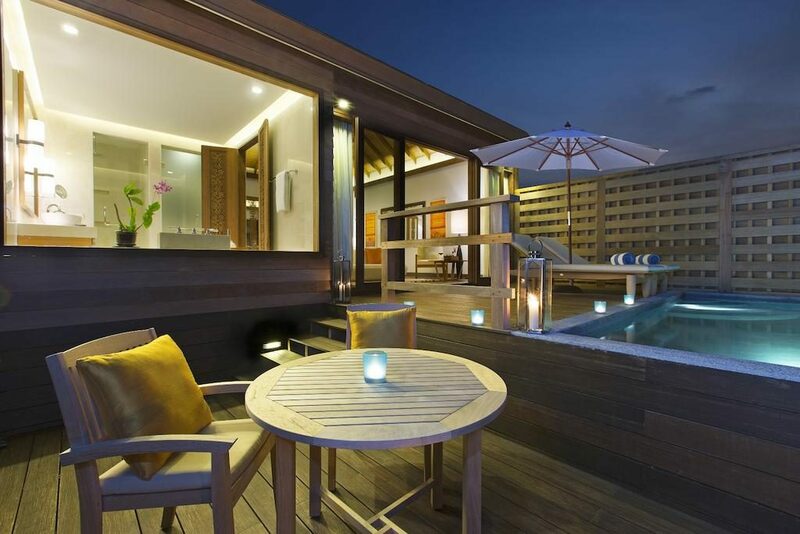 The Deluxe Over Water Pool Bungalow (125 sqm) is slightly larger. 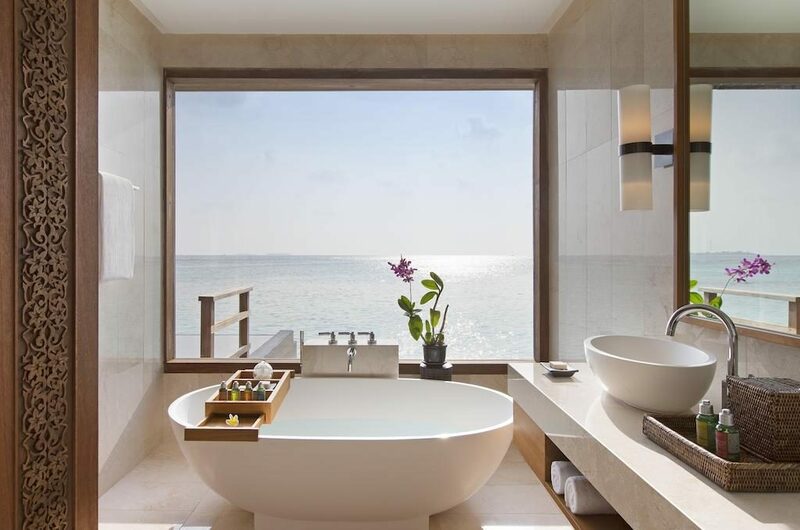 With its wonderful infinity-edged bathtub with views of the Indian Ocean, as well as your own private pool, this is the perfect choice for a relaxing Maldives holiday. 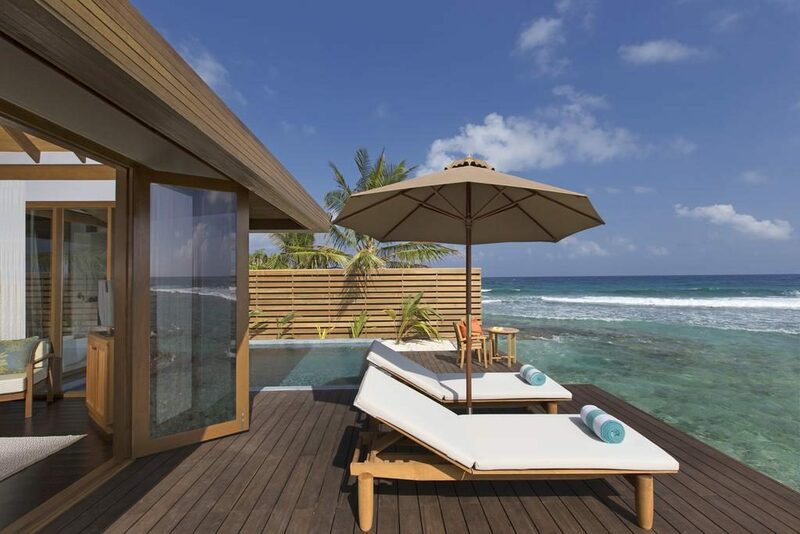 Below your timber deck with the amazing sunbed, you have the crystal clear water so typical for this tropical paradise. 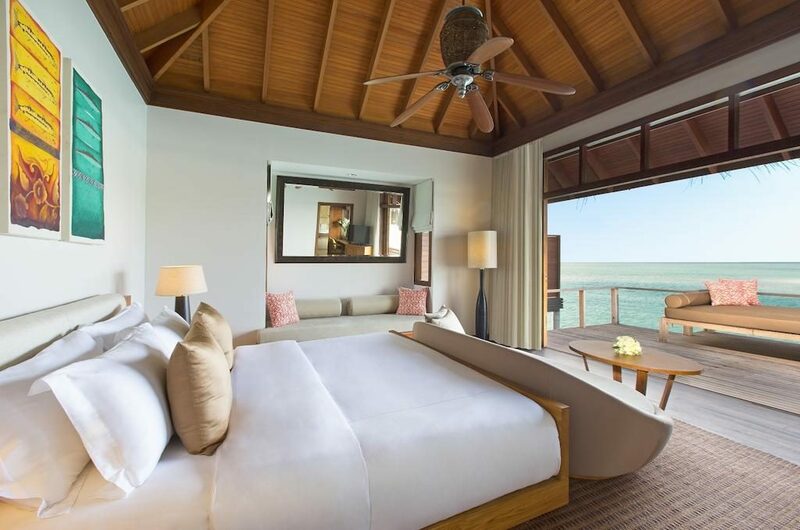 The ice-cold air conditioning and the well-stocked minibar will keep you comfortable at all times during your stay in the Deluxe Over Water Bungalow. 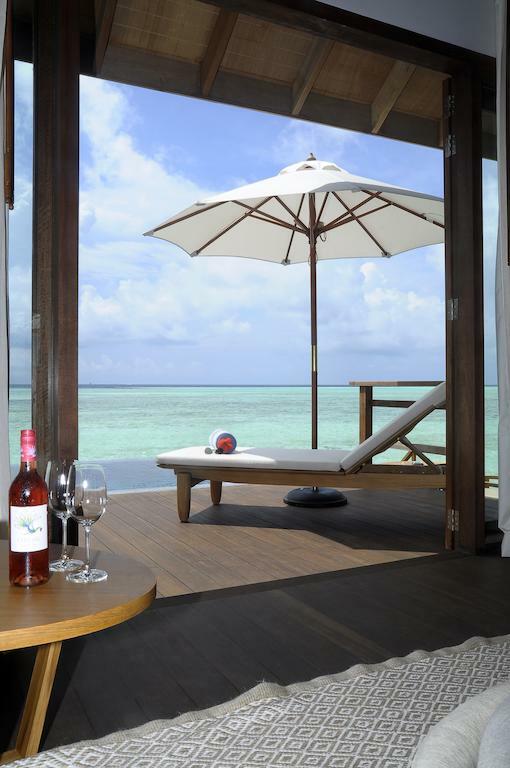 Anantara Veli has many facilities for the use of their guests. 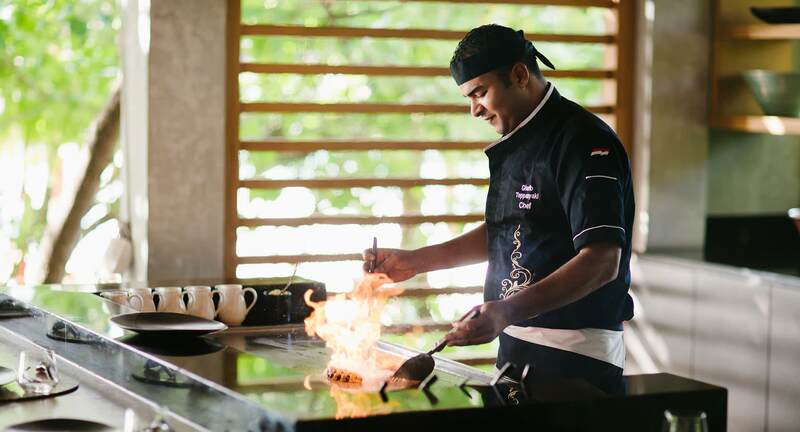 Ironing and laundry service is readily available and with the vast array of activities, there is never a dull moment at this resort… Why not try watersports, volleyball, yoga, meditation, badminton or maybe brush up on those tennis skills at the amazing floodlit tennis court? 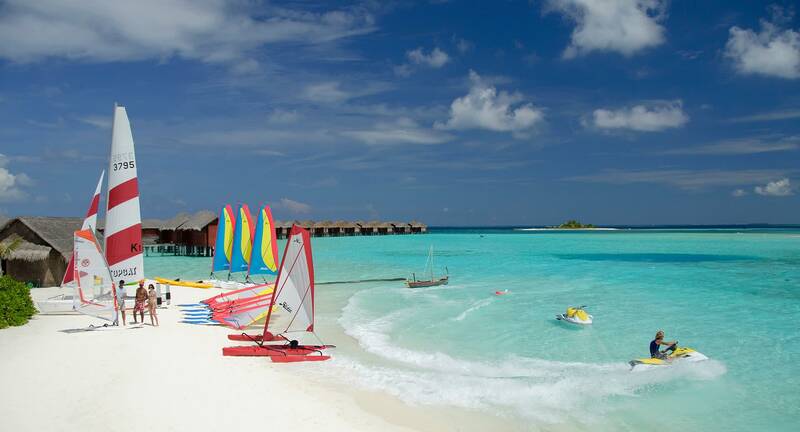 There is also an impressive fitness centre if you want to combine a relaxing Maldives holiday with proper exercise. 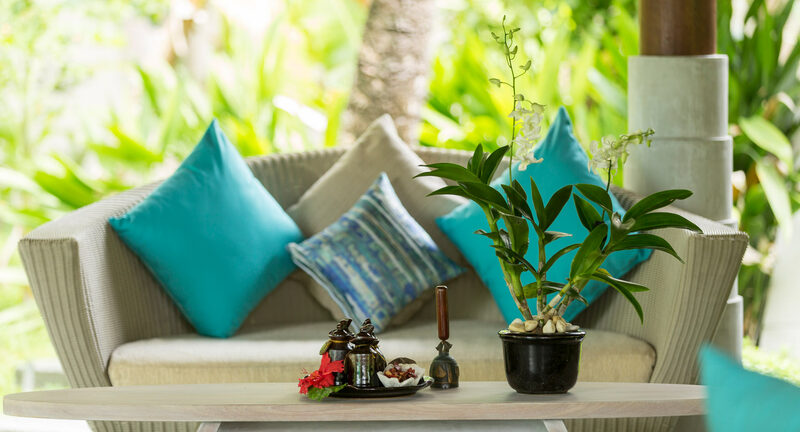 If the never ending sunshine has taken a toll on you, do visit the international library for a moment of wonderful tranquility. 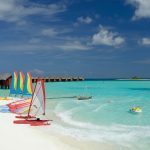 When you are ready to discover all that Maldives has to offer, book your unforgettable scuba diving course or boat excursion in the Excursion Desk or sign up for the resort’s unique cooking class. 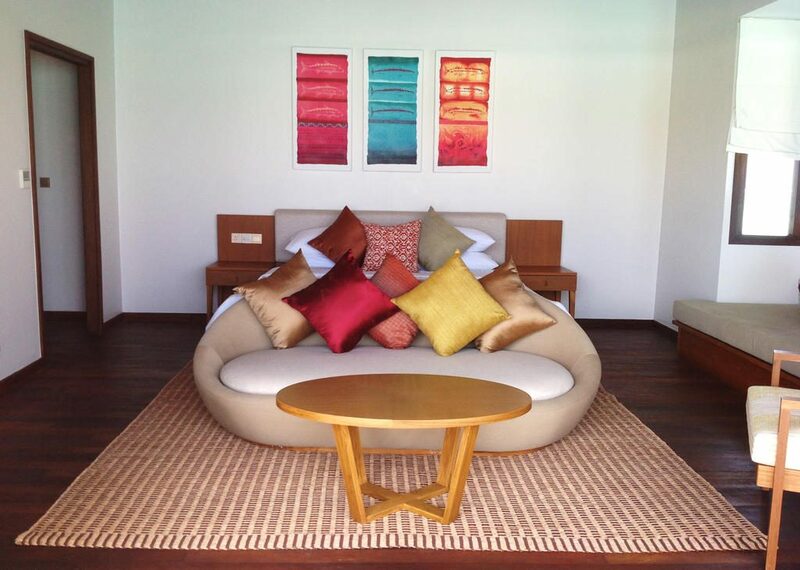 The onsite spa is exceptional for pampering yourself and relaxing to the max. 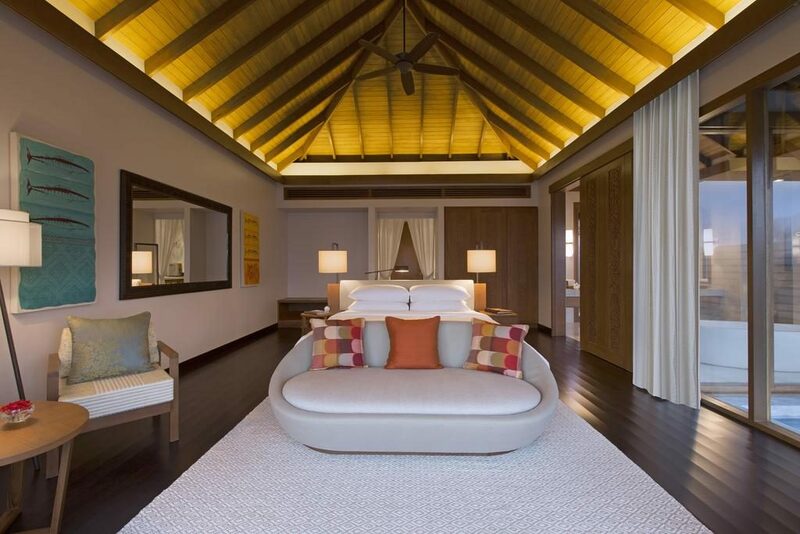 With massages, beauty treatments and facials this is the perfect place to wind down on your Maldives holiday. 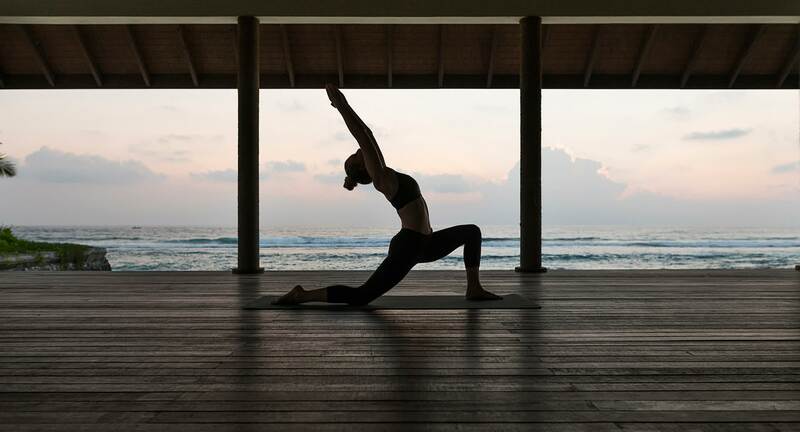 The spa therapists will work wonders to restore the balance between your body and mind, making your stay at Anantara Veli even more memorable. 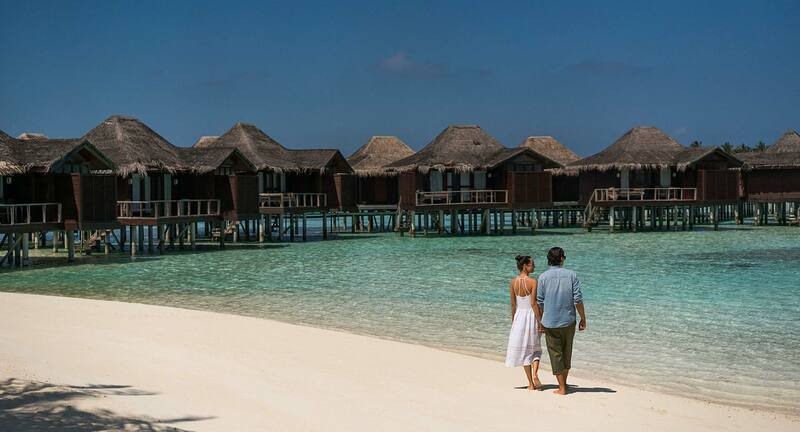 As a guest at Anantara Veli you have the choice of no less than four restaurants for your holiday dining experiences. 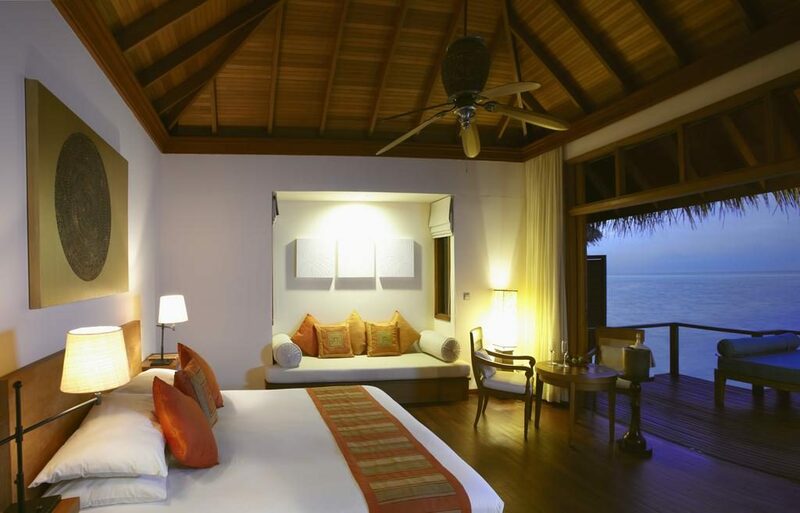 You can also opt to dine privately in your stunning bungalow, with the infinite Indian Ocean as a backdrop. 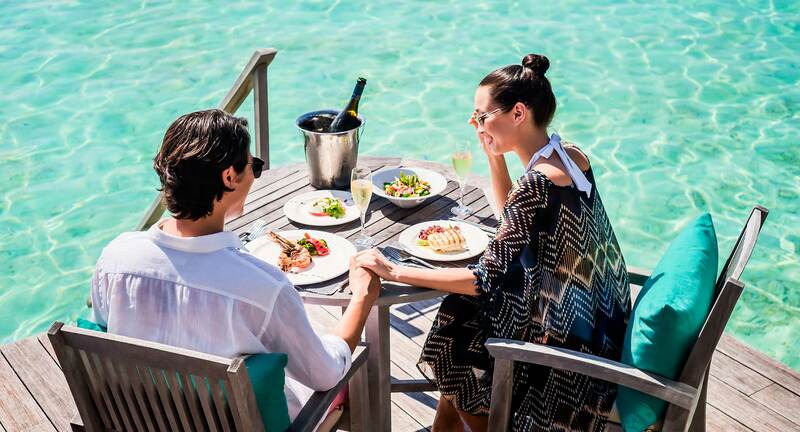 73 Degrees is where you will enjoy romantic candlelit dinners accompanied by vintage wines and delicious seafood. 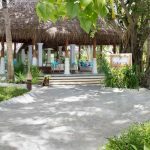 Sitting under the canopy of coconut palm trees, you will enjoy the relaxed atmosphere of this unique restaurant. 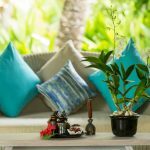 Baan Huraa on the north side of the island is a traditional Thai restaurant with authentic dishes prepared by first class chefs. 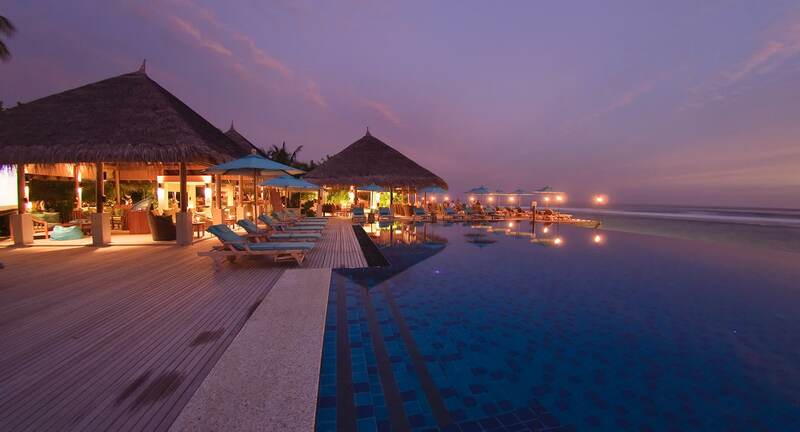 You will find mouthwatering red curries, lemongrass, coconut and spicy chili dishes here. Origami is your choice if you are fanatic about Japanese food. 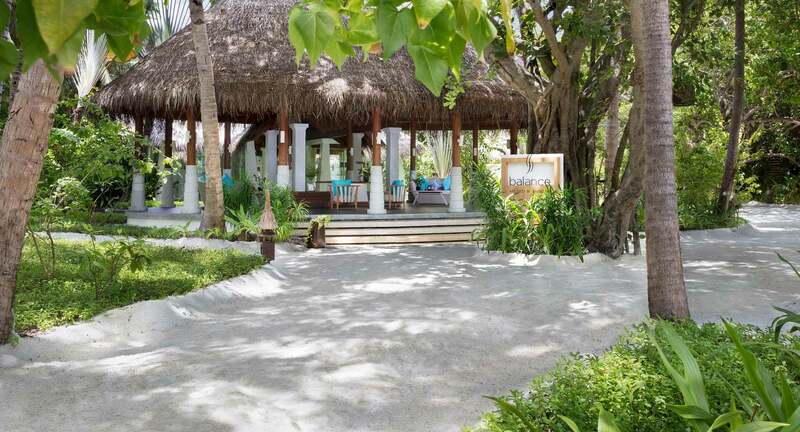 This chic restaurant lets you enjoy your fresh sashimi with sand between your toes. 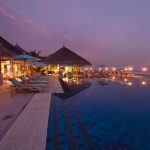 Dhoni is a poolside bar by the main pool on the south side of the island. 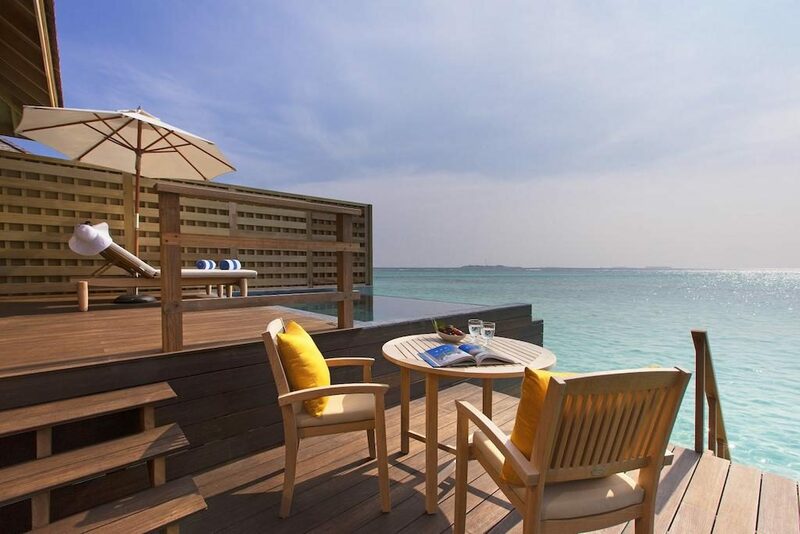 It offers delicious sandwiches, burgers and snacks. 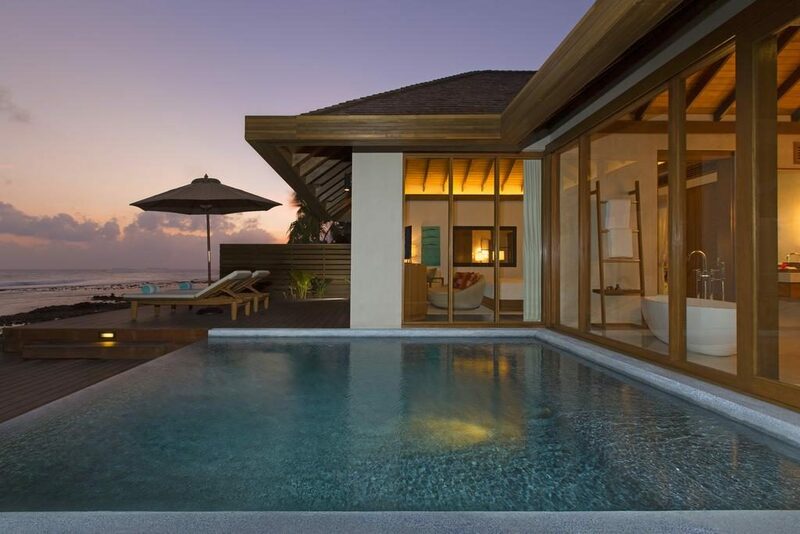 Here you can enjoy an exotic cocktail on a balmy evening, while watching the sun go down over the Indian Ocean. 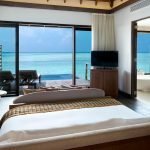 Simply Maldives Holidays offer Bed and Breakfast, Half Board and Full Board Packages to guests staying at Anantara Veli. 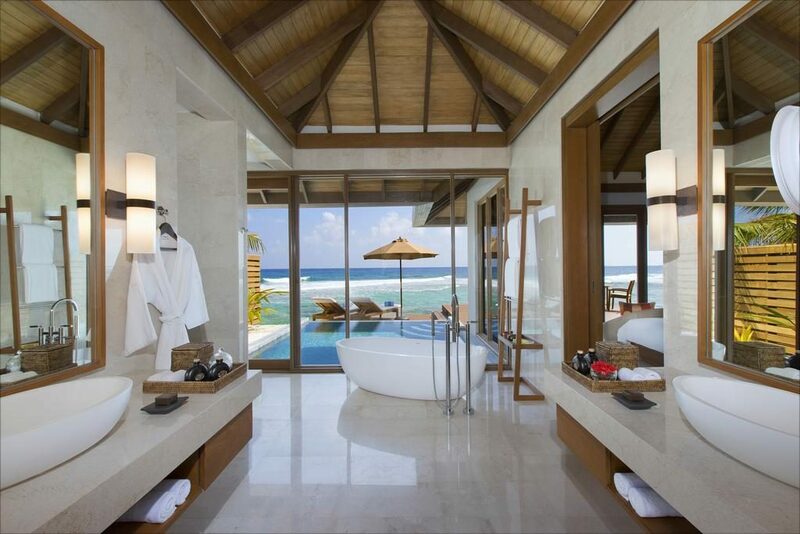 Please note that all honeymoon extras are subject to a minimum stay of 3 nights.